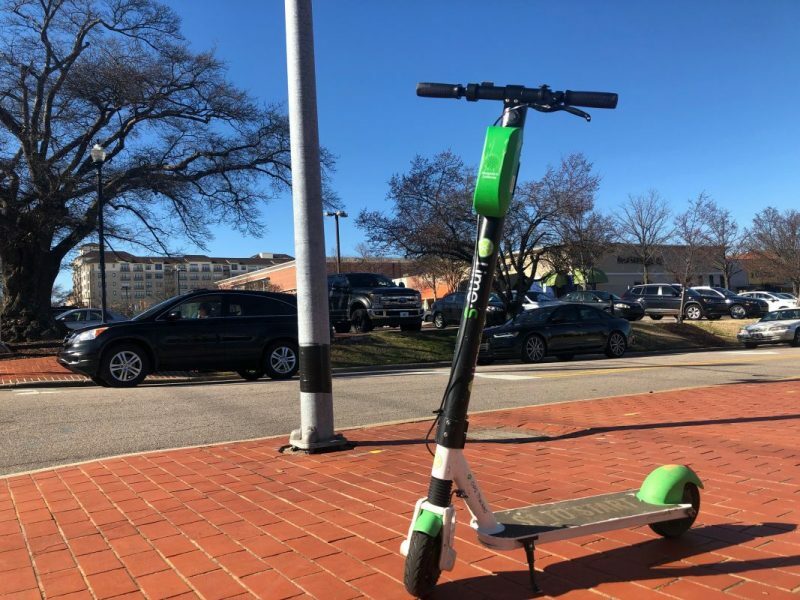 A Lime scooter waits for its rider on NC State’s campus (Cee Cee Huffman/Carolina Connection). Rideshare electric scooters from companies like Bird and Lime have taken over as a new, fun way to get around, but it’s been a challenge for cities to figure out how to regulate them. Scooters made an appearance in Chapel Hill for one day back in August, but the Birds don’t fly in Chapel Hill anymore. Officials can’t decide exactly what the scooters are under the law, and until they do, People won’t be scooting around town. Cee Cee Huffman has more.